You can prepare this delectable dessert in no time. 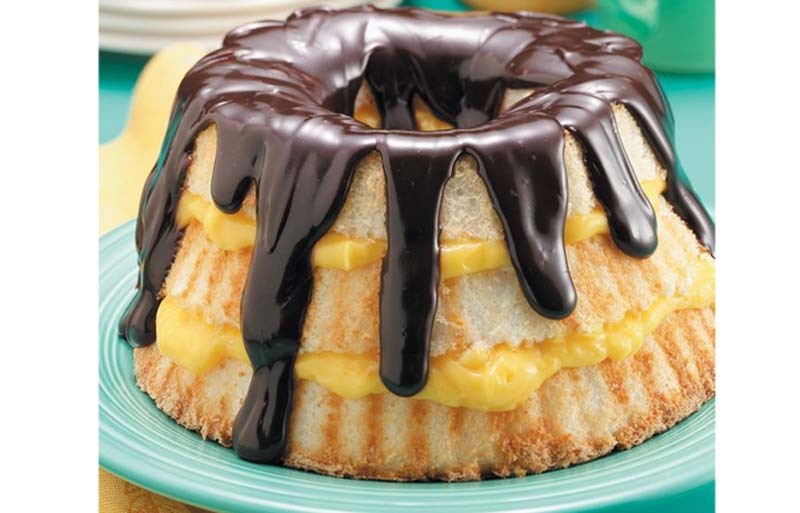 To change this cake to your family's liking, try different flavors of instant pudding or different ice cream toppings. In a large bowl, whisk 2 cups milk and pudding mix for 2 minutes. Let stand for 2 minutes or until soft-set. Split cake into three horizontal layers; place bottom layer on a serving plate. Spread with half of the pudding. Repeat layers. Replace cake top. Cover and refrigerate until serving. In a small microwave-safe bowl, heat hot fudge topping; stir in remaining milk. 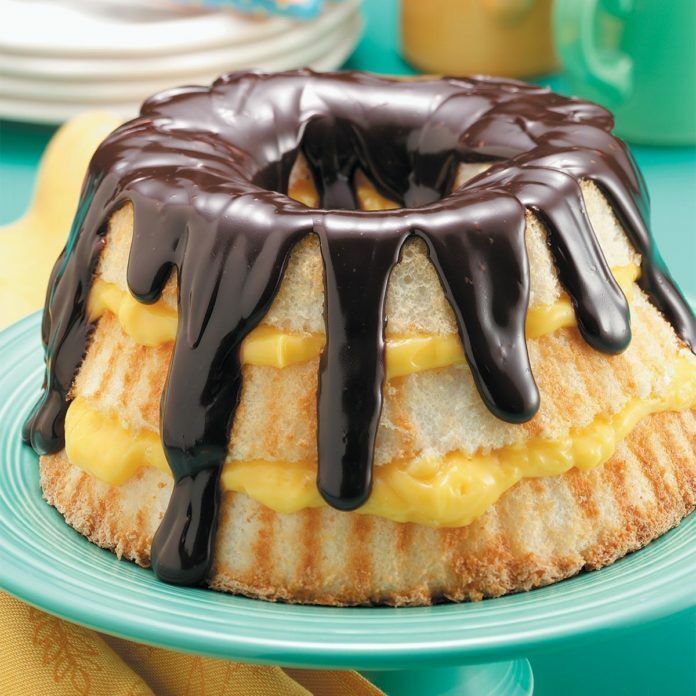 Drizzle over cake, allowing it to drip down the sides. Refrigerate leftovers. 1 piece: 275 calories, 6g fat (2g saturated fat), 6mg cholesterol, 458mg sodium, 50g carbohydrate (29g sugars, 1g fiber), 6g protein.